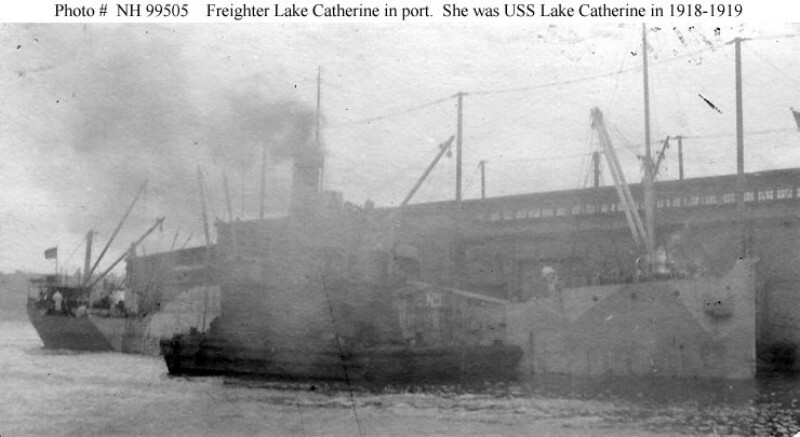 Built in 1918 as SS Lake Catherine for the United States Shipping Board (USSB) at Toledo Shipbuilding Co., Toledo, OH. Converted to Miscellaneous Auxiliary (Weather Patrol Ship) by Bethlehem Steel Co., East Boston, MA. 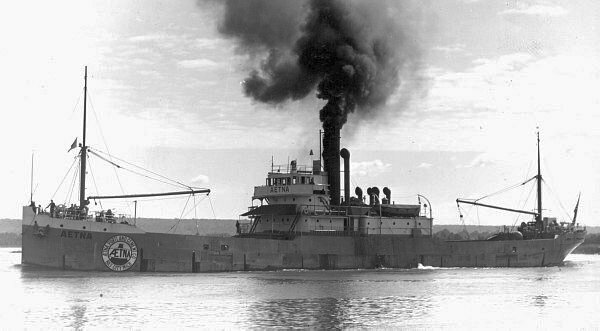 Final Disposition, sold for scrapping, 11 March 1946, to Patapsco Scrap Co. at Baltimore, MD. 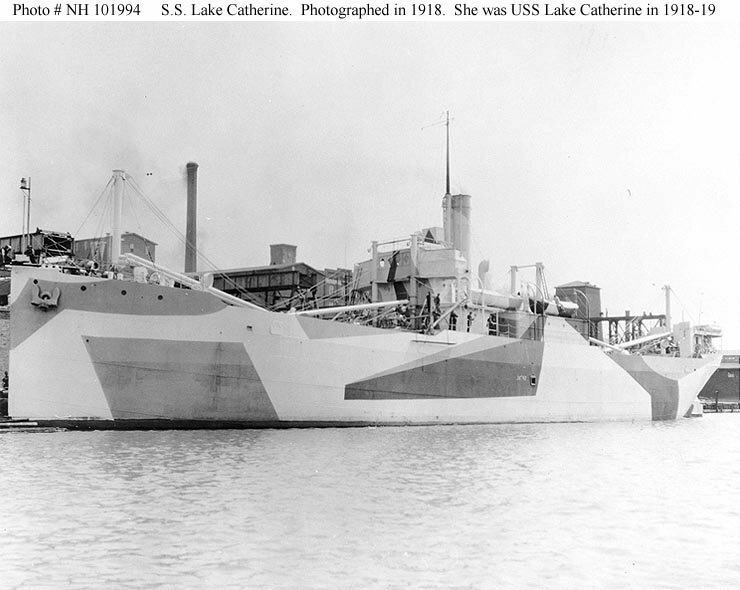 69k USS Lake Catherine (ID-3568) moored pierside, in 1918. 66k USS Lake Catherine (ID-3568) in port, possibly when she was inspected for Navy service during the summer or fall of 1918. 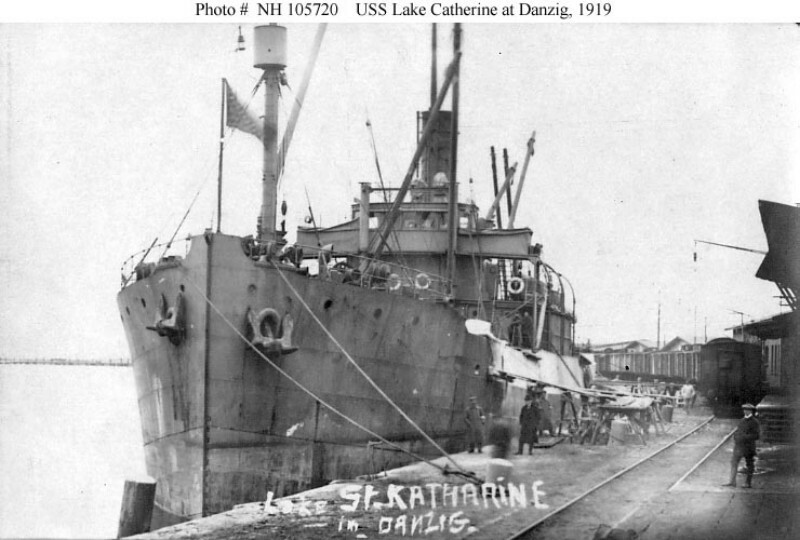 95k USS Lake Catherine (ID-3568) at Danzig, March 1919, while employed on food relief service. The original image is printed on post card stock. 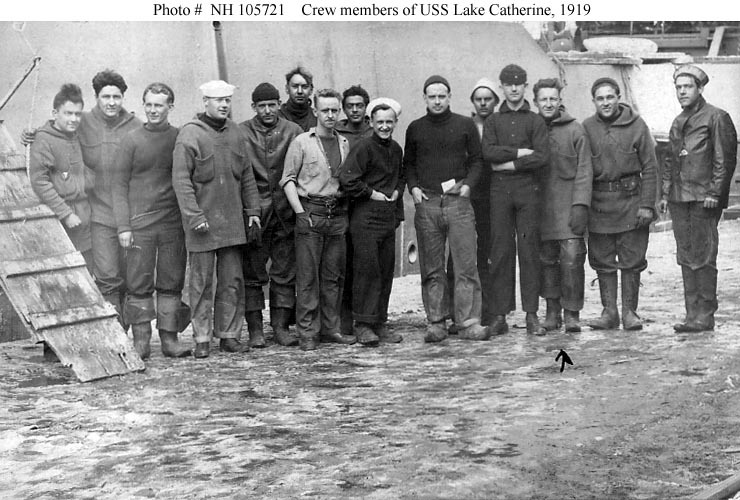 96k Members of the USS Lake Catherine (ID-3568)'s crew, probably photographed at Danzig, circa March 1919, while she was employed on food relief service. The original image is printed on post card stock. The following inscription was hand-written on the reverse of the original card: "Picture of Ship & 15 of Crew. No time to write anything else before mail goes." 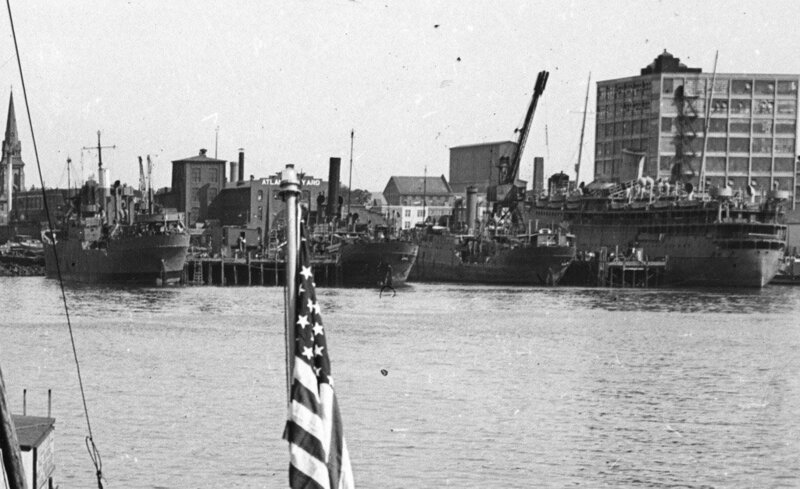 157k Berthed at the Bethlehem Steel East Boston piers, 7 August 1942, are from left to right; USS Matinicus (AK-52), USS Manasquan (AG-36) and USS Menemsha (AG-39) during their weather ship duty. At right is USAT Acadia. This was a week before Matinicus was renamed Gemini. 34k Ex-USS Lake Catherine (ID-3568) in merchant service as SS Aetna, date and location. Photo from Historical Collections of the Great Lakes, Bowling Green State University. International Radio Call Sign - LMBV - Lima - Mike - Bravo - Victor Joe Radigan MACM USN Ret.